In 2008 Banksy created a street art festival held in a disused road tunnel (Leake Street) underneath Waterloo Station in South London. The project was called the Cans Festival. Banksy messaged about 40 street artists globally inviting them to participate. Among them was Dolk. The objective was simple: turn a "neglected hell hole into an oasis of beautiful art”. 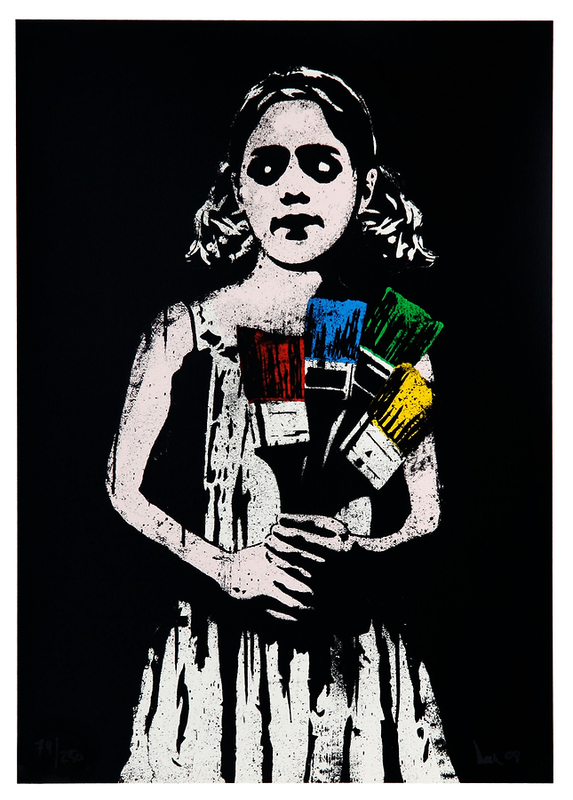 ‘Paint Brush Girl’ was one of a number of images painted by Dolk. A limited edition silkscreen print was released in October 2008 which sold out in just over a week.